We are experiencing change all the time, and today, more rapidly so than ever. Products, technologies, the business landscape, expectations – they’re all in a constant state of flux. This is nothing new. How companies are developing a competitive advantage has also changed. In a similar vein, Gartner estimated that by the end of 2016, 89 percent of companies – in contrast to just 36 percent four years ago – expected to compete largely on the basis of customer experience. Contact centers are obviously trying to gain ground here by ensuring that agents meet – better yet, surpass – customer demands. 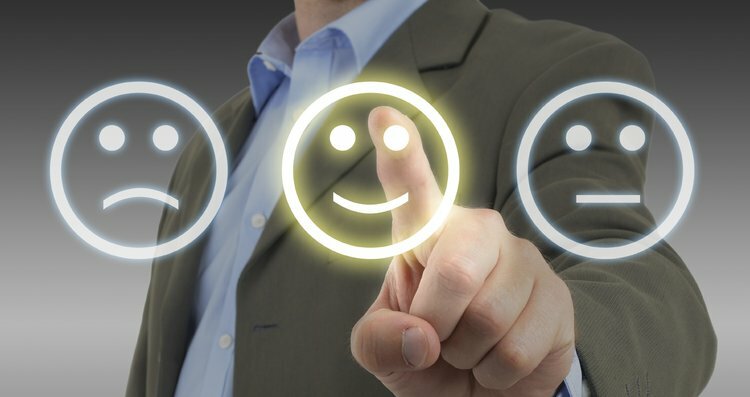 So, since this is where the heart of competitive advantage lies today, wouldn’t it make sense to do everything in your power to ensure that extraordinary customer experiences are being delivered by agents and that measures are planned and taken to ensure continual improvement in your contact center? What have you done to help? Stop and think for a minute: What concrete measures have you taken and/or are you taking to ensure that this is happening in your contact center, now and in the future? You could, for example, take the contact-center team (not all of them at once, mind you) for an out-of-the-ordinary lunch on a regular basis. You see, the key here is maintaining – better yet, raising – agent motivation and satisfaction, and rewarding excellent results. Remember, agents, through their front-line contact with customers, also have the power to make or break customer loyalty. Amidst the development of this competitive differentiator, we’re witnessing a number of powerful trends. Artificial Intelligence systems, for example, are taking over many of the simpler tasks. Technology today can replace a bus driver with an automated, self-steering bus in the middle of a busy city, quickly taking passengers to desired locations. However, more complicated tasks, such as delivering the very best customer experiences, can still not be carried out by robots or automation. Neither can a fantastic website or the latest Interactive Voice Response (IVR) system replace human agents. When customer calls, chats or e-mails come in, only well-trained, competent agents, with an understanding of the customer issue at hand, can provide this. I’m not talking about needing to deliver WOW experiences; rather, dealing with the issue at hand, quickly, professionally and satisfactorily – with minimum effort required on the part of the customer. However, agents need to have the right energy and motivation to do so. Automated workforce-management (WFM) solutions can go a long way towards raising the energy and motivation levels of agents, necessary for producing outstanding customer experiences. In fact, today, WFM does far more than just replace clever spreadsheets (even though some may be amazing). Leaving scheduling, shift swaps, vacation requests and the like to WFM automation keeps agents focused on customers. Imagine the amount of time and effort spent on scheduling, shift swaps and vacation requests through verbal or e-mail exchanges, the answering back and forth, the approvals, the pending approvals etc. and how that impacts the loss of focus in a +1,000 agent contact center. Teleopti obviously spends supreme effort working on core WFM functionality, such as schedule optimization. However, equal effort is spent on functions, such as agent preferences, training planning, gamification and mobile interfaces. Why all this effort? Because these make agents more empowered and engaged. Because without energized, competent, informed staff, any contact center will find it increasingly difficult, if not impossible, to compete in the modern business climate – even with the very best optimized scheduling. As the importance of contact centers expands, so does the scope and importance of WFM. If you’re still using spreadsheets for forecasting and scheduling or an older WFM system, do take a look at some of the more modern WFM systems, with a scope far broader than you might possibly have imagined. Using a modern WFM system is as simple as checking off a few boxes on your smartphone on your way to work. Check for any schedule changes? Swap a shift? Request a day off? Send approval? Check, check check – done. How about matching up five suitable staff members with some vital training, ensuring the right trainer will be in place, that a room is available, and, most importantly, that the service level impact is minimized? Check, check check – done. Teleopti, is a global provider of workforce management (WFM) software, offering a WFM solution that is sophis¬ticated, localised and easy to use. As the largest “best-of-breed” vendor, Teleopti focuses on helping contact centres, back offices and retail stores improve customer service, employee satisfaction and profitability – through optimized, automated forecasting and scheduling. Teleopti provides everything necessary to effectively manage staff, forecast demand, create schedules automatically, develop accurate and insightful reports and improve overall customer satisfaction. Founded in 1992, Swedish-established Teleopti has custo¬mers in over 80 countries, numerous offices around the world – from Beijing to São Paolo – and a comprehensive global network of partners. With a record of continuous net profitability for over 20 years and with high customer satis¬faction ratings, Teleopti serves as a reliable partner. Be the first to comment on "Very Best Customer Experiences The New Competitive Advantage"